Having a backyard wedding like the one above, (photographed by Gia Canali) or looking how to plan your seating arrangement? Well ... Home Outside Palette App might be just for you. You are able to mock up the indoor or outdoor site and then add tables, chairs, tents, runners, dance floor, photo booth, and more. Designs can also be shared via email and social media so parents, bridesmaids, and the wedding planner can weigh in and trade suggestions. The APP IS FREE (with in app purchases) for you to use on your own. 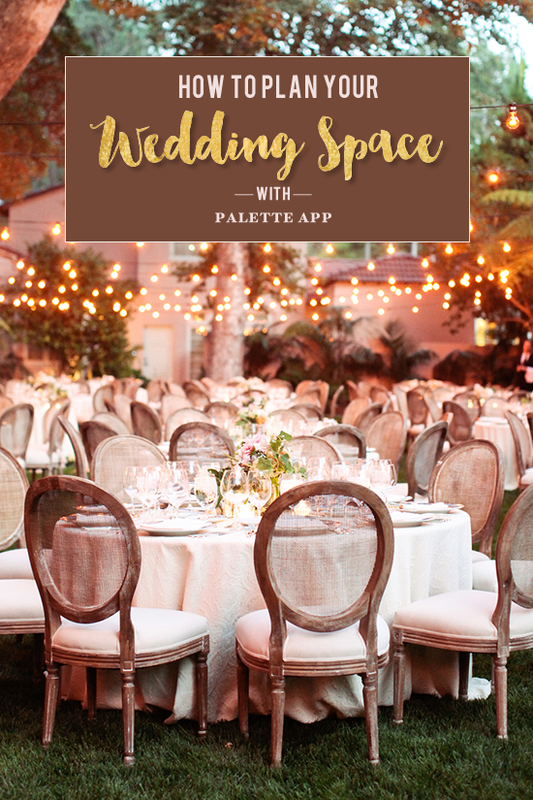 The app’s new Wedding & Events Palette, which can be purchased as an in-app purchase for $2.99, includes 50 functional, beautiful, and fun elements for planning the special day. Elements include: tents, tables, DJ table, the carpet for the aisle, and even the cake table. The unique Counting Tool helps keep track of the number of seats placed for guests. Such great features ... right? If you are not a DIY bride or pressed for time and looking for an expert to do it for you. 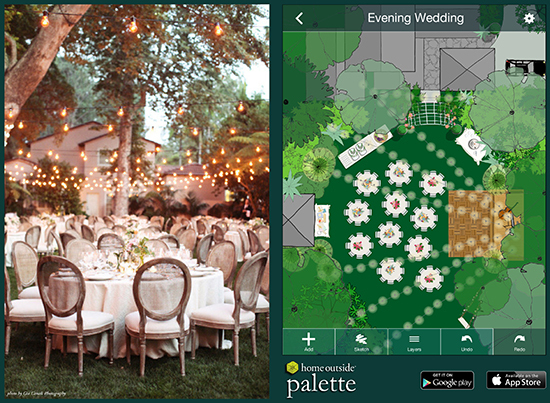 Home Outside Palette App offers that service! You can submit your design, site images, property measurements, wedding color scheme, and other information right from the app. 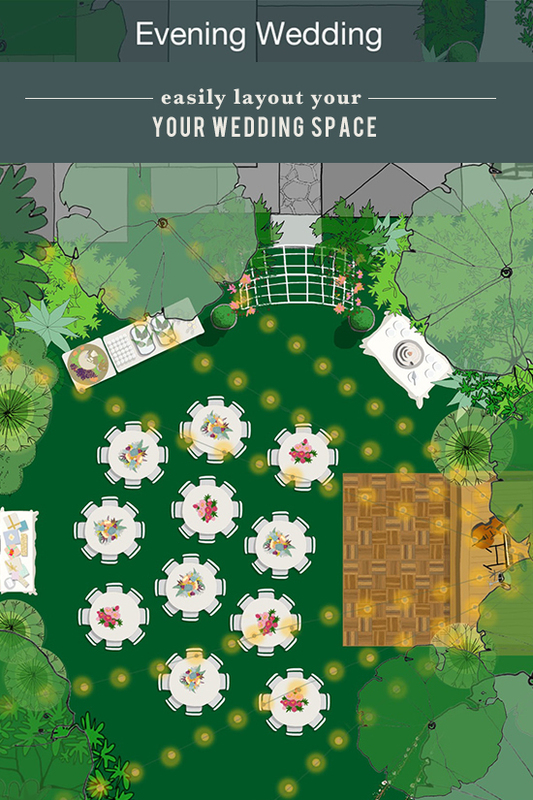 A Home Outside’s expert designers will deliver a personalized wedding design layout for a fee. Click here to learn how. The app was created by landscape designer Julie Moir Messervy, who has created many high-profile landscapes, including the Toronto Music Garden with cellist Yo-Yo Ma, and authored eight books, most recently Landscaping Ideas That Work.